Hi everyone. We have had a few lovely, sunny days recently and it got me thinking of what a wonderful place this world is that we have the good fortune to inhabit. Everything looks so much better and everyone appears in better form on a sunny day. Maybe the sun triggers some hormone or something, that makes us feel that way, I don’t know, I am not an expert in that field so I will leave it to those who are to figure that one out. Everything seems to come alive when the sun is shining – the flowers are bursting out of their blooms and they seem to be saying “look at me, aren’t I beautiful”. The hedgesrows portray 40 shades of green. The birds are singing and they fly around in groups enjoying the beautiful weather. The butterflies and bees are busy in the garden. 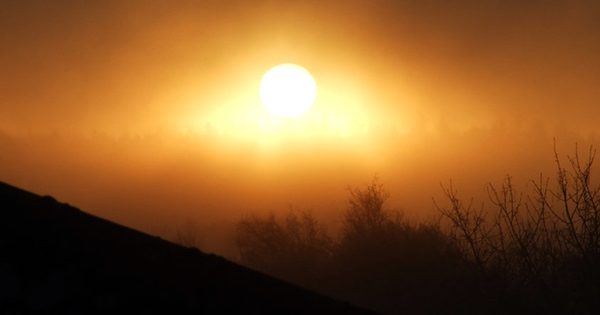 When the fog covers the earth as the dawn breaks, it usually signifies a beautiful, sunny day. The sun breaks through the clouds and like magic the day slowly heats up and gets warmer and warmer through the day until the evening comes again and the shadows lengthen that bring us back into the dusk. Even a wet day has charm. We may not think it when the rain is falling but there is a delightful feel about the raindrops falling against the windowpane, a fire in the hearth and not having to go out in it. It is good to be alive whether the sun is shining or the rain is falling. We need the rain just as much as the sun to balance out life. Enjoy each day as it comes, wet or fine, because when you really think about it, yesterday is gone, tomorrow has yet to come and all we have is today.